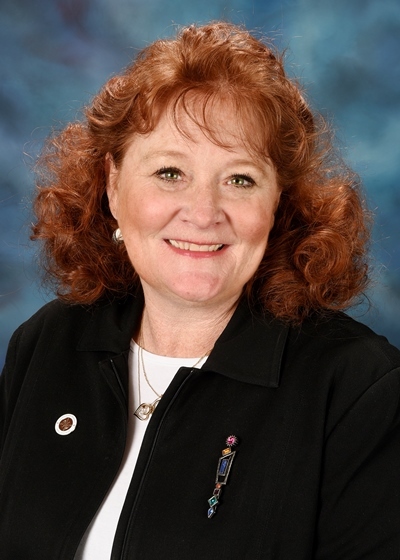 SPRINGFIELD – State Senator Laura Murphy (D-Des Plaines) released the statement below after the Senate passed Senate Bill 2046, which invests in community colleges, universities and services for those living with developmental disabilities. “Today, we again gave the governor an opportunity to stand by his repeated promises to invest in a competitive, compassionate Illinois. This proposal prevents further layoffs at community colleges like Harper College, and provides stability for families who depend on state services to care for their loved ones living with disabilities like autism and epilepsy. “In my district alone, 1,900 students are unsure if they will be able to continue school without access to MAP grants. Dozens of families who depend on services to help their loved ones with autism and epilepsy don’t know how much longer the programs they depend on will last without funding. SPRINGFIELD – Many businesses offer discounts to veterans to thank them for their service to our country. Unfortunately, occasionally non-veterans will pose as military members to try to take advantage of these discounts. 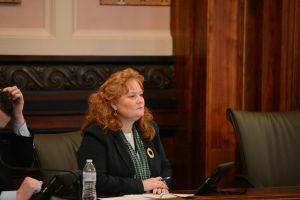 To cut down on people falsely impersonating veterans, State Senator Laura Murphy (D-Des Plaines) passed legislation through the Illinois Senate today to make it a petty offense to falsely impersonate a veteran. The proposal, Senate Bill 2167, was also her first bill. “Veterans have given so much for our country we need to make sure their sacrifices are not taken advantage of by people trying to scam the system for their own financial gain,” Murphy said. If the proposal is signed into law, Illinois will join several other states including Alabama, Massachusetts, New Jersey, Pennsylvania and Wisconsin to have similar “Stolen Valor” laws. Murphy’s legislation passed the Senate with an overwhelming bipartisan vote and will now head to the Illinois House. SPRINGFIELD— In response to news that suburban community colleges have cut staff and may cut more in the coming months, State Sens. Melinda Bush, Julie Morrison and Laura Murphy called on the governor to swiftly end the year-long budget impasse and approve a state spending plan. College of Lake County has cut 20 positions. Speaking Thursday, President Jerry Weber told reporters the school could need to cut as many as 40 more employees and reduce programs and services if the $8 million the state owes the college is not approved by the end of June. The college has dipped into reserve funds to cover the unreleased funds, as well as $800,000 in promised Monetary Award Program grants to students that have also not been released. William Rainey Harper College in Palatine has also been affected by the ongoing budget impasse. The college has informed 19 full-time employees and 10 part-time employees they will be laid off and is eliminating 62 full-time and part-time positions through other means. The General Assembly has repeatedly approved various spending plans, including individual measures to fund MAP grants, colleges and universities, since the budget process in 2015. All have met with vetoes by Gov. Bruce Rauner. The General Assembly reconvenes next week. 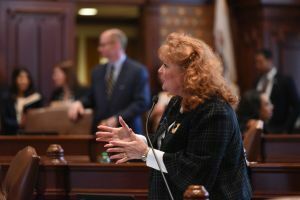 SPRINGFIELD – In the midst of a nine-month budget impasse, the Illinois State Senate today passed a funding package that includes funding for services for those living with developmental disabilities. State Senator Laura Murphy (D-Des Plaines), supported the legislation to ensure services for her constituents. Murphy’s state senate district currently has the second highest number of individuals in the state living with developmental disabilities who are receiving no state services. Additionally, several local centers such as Clearbrook in Arlington Heights, which provide services for people of all ages with developmental disabilities, are in danger of being forced to drastically cut or even eliminate services due to a lack of funds. “Dozens of local families have contacted me, scared about what will happen to their loved ones if the state budget impasse continues. This legislation provides the funds necessary to ensure their loved ones receive the best care possible,” Murphy said. The proposal also includes funding for MAP grants, which help cover the growing cost of higher education for students. “In a state where 56 percent of the work force is required to have an education beyond high school, MAP grants are essential to helping students earn their education and enter our work force. This vote is for the more than 1,900 students in my district that depend on these funds to go to school and eventually get a job,” Murphy said. The legislation, Senate Bill 2059, was part of a larger package that contained appropriations for programs that have received no state funding during the budget impasse, including public universities, community colleges, and breast and cervical cancer screenings. It now heads to the Illinois House of Representatives.